Draw like your favourite Mangaka! Re: Draw like your favourite Mangaka! I had an awesome study session haha. I drew from some of my favorite, not all, so I might upload another page later on. 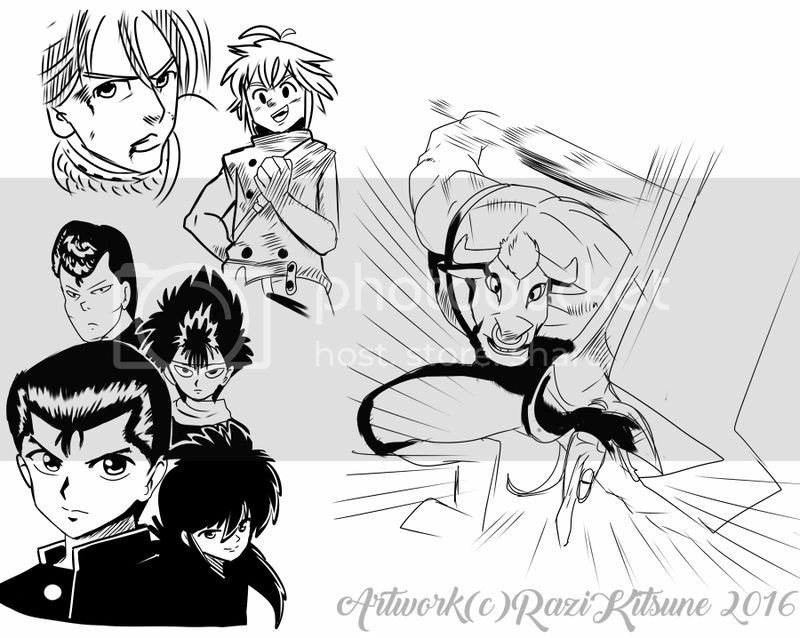 Seven Deadly Sins, Yu Yu Hakusho, and Sword Art Online.